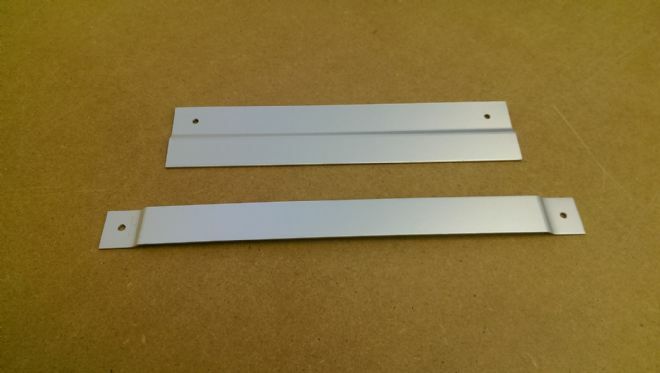 Two part bracket for the MH1200 Fluid Warming Cabinet. Comes with fitting instrcutions which can also be downloaded here. Please note, if your cabinet was not originally supplied with a wall mounting bracket, fitting will require holes to be drilled in the rear of it. Ensure that your engineering department are happy to carry out this work before purchasing. Fitting can be done at Peco Services upon return of your cabinet, if required, by selecting the option from the drop down menu below. This service includes delivery to you but not the cost of sending the cabinet to us.